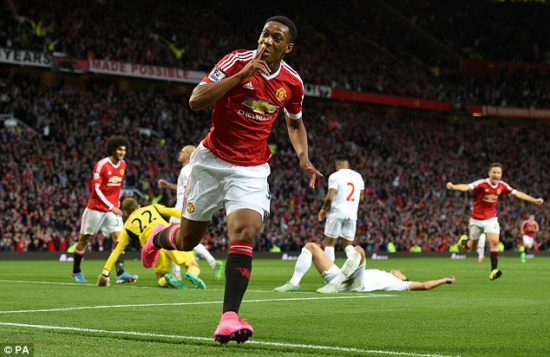 Anthony Martial wants to leave this summer, according to his agent. The inverted wide man has found himself on the fringes under Jose Mourinho, with whom he reportedly does not have the easiest relationship. The 22-year-old’s last goal for us was an impressive strike in the 1-0 win at Burnley in January which, coincidentally or not, came the week before Alexis Sanchez signed, after which the Frenchman has started just five Premier League games. Mourinho believes that Martial, who has scored 36 times in 136 games since joining in 2015, can improve, but the player wants more game time. Phillipe Lamboley, who represents Martial says that talks over a new contract at the Theatre of Dreams have reached an impasse. Speaking to RMC Sport, Lamboley said, “After thinking about all the possibilities, Anthony wants to leave Manchester United, there are many scenarios. For now, it’s premature to talk about it. Anthony will speak later to explain all of this. He added. Below are some of the best reactions about his agent’s latest admission. The club and player have been in contract extension talks for the past 8 months, with no resolution reached. He started the season impressively but paid the price for poor post-January form by missing out on France’s World Cup squad. Martial has been linked to the likes of Arsenal, Tottenham and Chelsea, though United will be open to him moving abroad, with Juventus another possible suitor. While it would be a shame to see a prodigious talent leave, it is difficult to see him and Mourinho working in harmony.